Yes, I know about recycling and I could list all of the places that will recycle your VHS tapes instead of dumping them into a landfill, but that would hardly be original, would it? In my quest for original ideas and original solutions, I have uncovered some original and fun uses for old VHS tapes. Have some fun crafting with the tape. 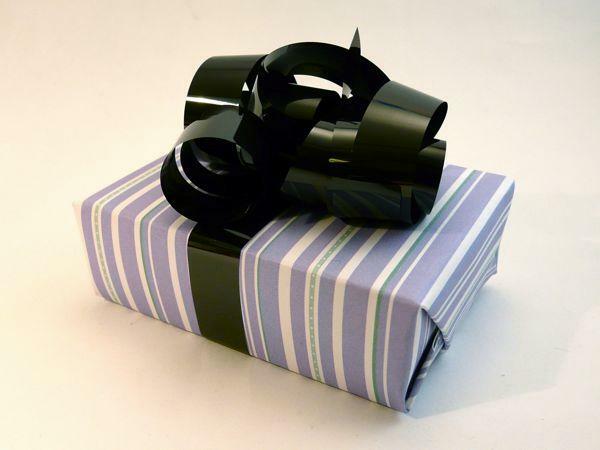 Have a look at these beautiful objects that were made with your old VHS tape. 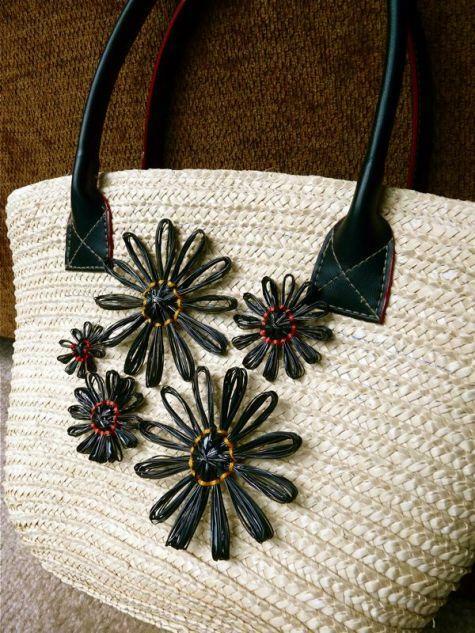 Make flowers that you can use as embellishments. 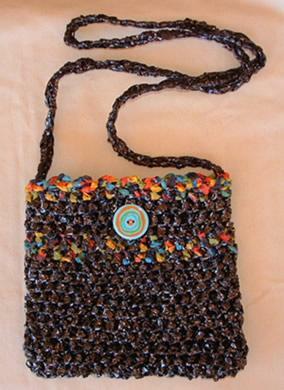 People are crocheting bags and dresses out of tape, building lamps out of clear cassette cases, weaving fabric using half polyester and half tape, and making wallets out of cases. Don’t throw out the case and the tape spools. They can be put to good use as well. Did you know that you can use the case and tape spools as a mold for chocolates and other goodies, as long as you remember to wash them VERY CAREFULLY? The cases can also be used as serving dishes for finger food. If you’re not into crafts and still want some ideas of how to get rid of your old VHS tapes, ReUse Connection is an interesting website. If you enter the name of an item it will tell you how people or using it or recycling it. Do you have any ideas on how to use old VHS tapes? Of course for genealogists there are various birth, marriage and death certificates and the occasional surviving tombstone (unfortunately for me, many of my family’s were destroyed by the Nazis during the Holocaust). What I’m really focusing on is the “Social Footprint” they left behind that says something about what their life was and who they were. Occasionally I’ll find a census record so I’ll know where they lived; perhaps that they owned property, which family members or friends lived with them and what they did for a living. Back in the 1700s, 1800s and early 1900s there was little opportunity for the average person to leave a social footprint beyond oral stories and a tombstone, unless you were a famous person, who perhaps wrote a book or two or even better that someone else wrote a biography of your life. Yet today the opportunities to leave your mark behind are plentiful, growing in number and evolving thanks to the Internet. At everyone’s disposal is the ability to write a blog and save it (just in case your blogging host disappears, Tweet it, Facebook it, etc. and assuming that that the technology to read them will be around the potential is that they can last forever unlike written diaries (popular in the 1800s) which rarely survived (paper is so fragile). Just the other day, Twitter announced a new policy to preserve (save a backup of) the Twitter feed of a deceased loved one . This means that all those Tweets you’ve been making about subjects of interest - where you eating, your opinions on movies, books, etc. - can be preserved forever and for generations to come providing a great insight into who you were. Facebook developed their policy back in October 2009 and I’m sure that other social media sites such as LinkedIn and Flickr can’t be too far behind (if they haven’t already) in developing their own protocols. Consider the social footprint you’ve left behind by posting & documenting your photos on Flickr, or in a Facebook album. Everything we do online now has the potential to tell the world who we were, long after we’re gone. While many have written of the dangers of posting everything online (lost job opportunities because some video of you during at a Frat party 10 years earlier, etc.) few have written about the long term positive impact. So while there are analytic tools emerging every day to measure your current impact on your social network, it will only be in the long run that the true impact of your social footprint will be felt. And as we say in the book there is nothing new, and the desire to leave a mark on future generations is as old as Adam and Eve. It is just that technology has granted virtually all of us an easy way to document it. Just this past weekend while driving along highway 540 on the western part of Manitoulin Island, I saw a sight that forced me to slow down, stop and take a photo. 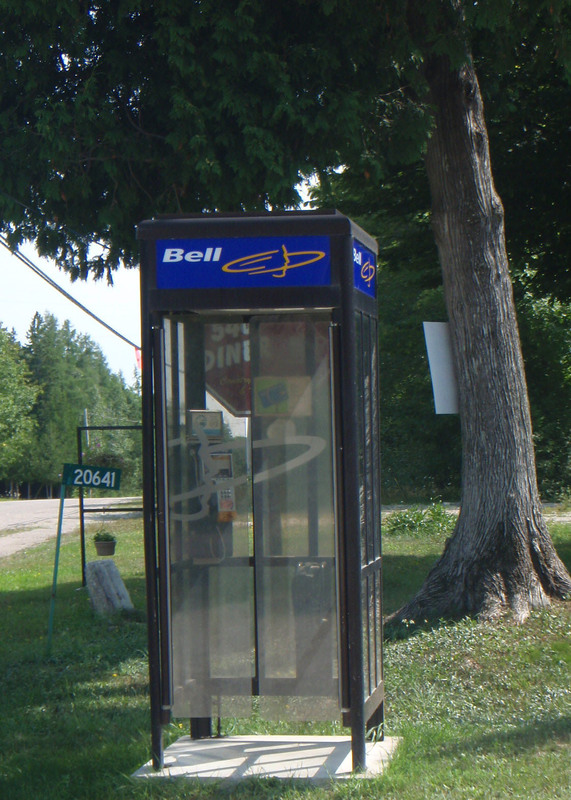 It wasn’t a stunning scene of natural beauty; it was simply a telephone booth - just a plain, everyday, normal Bell Canada telephone booth. There was absolutely nothing unique or antique looking about it. However, it was a sight to behold. It forced me to ask my wife when she had last seen a telephone booth and she couldn’t remember. To the best of my recollection my last time was while watching a Superman movie with Clark Kent jumping into a phone booth to do his quick change. My 10-year old daughter didn’t even know what a phone booth was until we explained it to her. Yes, there are still pay phones, mostly in malls and airports. They aren’t phone booths anymore but rather rows of phones that leave you open and exposed to the world. A phone booth was a little privacy enclave where you could close the door and shut out the world and the surrounding noise. While I know that the evolution and mass adoption of the cell phone has almost eliminated the need for phone booths and payphones in general, I can’t help but reminisce about them and long for the day when they were located at virtually every major road intersection. Both my wife and I (and I’ll assume many of you) will remember how our mothers insisted that we carry a dime (10 cents) and later a quarter with us at all times just in case we had to call home for some an foreseen emergency. There is even a famous story about Frank Sinatra being buried with a dime in case he wanted to reach out to anyone. I remember being in various office buildings and hotels where on one side of the main lobby there would be rows of phone booths with either full size or half sized doors to protect the privacy of the phone call. Alas, with so many people speaking on their cell phones in public, I guess the concept of privacy during a phone call is another thing relegated to the “good old days”. While I’ll make no claims that the phone booth I saw was the last one in Canada, I’m sure it is one of a very quickly disappearing breed. If this were an animal it would already be on the endangered species list. So I guess my kids will grow up without the memory of being caught somewhere in a sudden down pour and having to squeeze into a phone booth with their friends just to stay dry. Please share your own phone booth memory, or perhaps even a photo of a surviving one near you by using blog comment feature. "The Last Original Idea - A Cynic's Guide to Internet Marketing" believe it or not is an original book by Alan K'necht & Geri Rockstein. Is now available.
. Picture Window theme. Theme images by rajareddychadive. Powered by Blogger.